NIELIT Jobs Recruitment Notification 2018.National Institute of Electronics and Information Technology, NIELIT inviting applications for the positions of Assistant, Junior Assistant, Multiple Vacancy.Interested and Eligible candidates can apply for the positions. Last Date for Submission of Application is on August 10th, 2018..
a. Essential Qualifications: First Class Graduate from a recognized university or equivalent with Working knowledge of computers preferably NIELIT „CCC‟ or higher certification. Experience : 01 years post qualification experience in the relevant field. a. Essential Qualifications: Graduate in Commerce from a recognized University/Institution with 60 % marks. Should also have working knowledge of computer preferably NIELIT „CCC‟ or higher. b. Desirable: NIELIT ‟O‟ level Certificate course. Application Fee: 5400/- and above - SC/ST/PWD/Women candidates/ExServicemen - Rs. 400/- per application, General and all others - Rs.800/- per application.4600/- and above - SC/ST/PWD/Women candidates/ExServicemen - Rs. 300/- per application, General and all others - Rs.600/- per application. 1. Essential Qualifications: First Class Graduate from a recognized University/Institution with typing speed of 30 wpm in English or 25 wpm in Hindi with Working knowledge of computers preferably NIELIT „CCC‟ or higher certification. 1. Essential Qualifications: First Class Graduate from a recognized University/Institution with shorthand speed of 100/80 wpm in English/ Hindi and Working knowledge of computers preferably NIELIT „CCC‟ or higher certification. 2. Desirable: Working experience of 02 years in similar S&T organization. 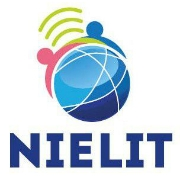 NIELIT ‟O‟ Level Certificate Course. The Written Examination will comprise of objective type questions and shall be OMR based. However, for the post of Jr. Hindi Translator, the OMR based examination will be qualifying in nature and candidates who qualify the OMR based exam will have to appear for descriptive examination and merit list will be prepared on the basis of performance in descriptive examination.